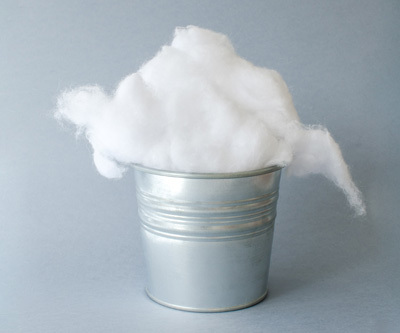 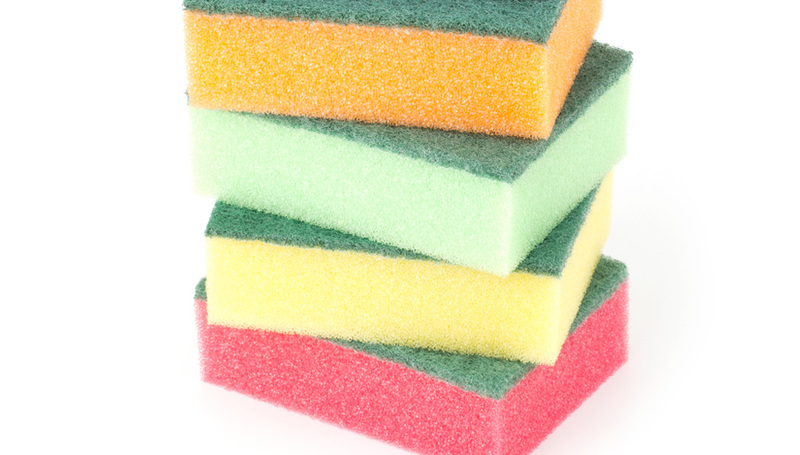 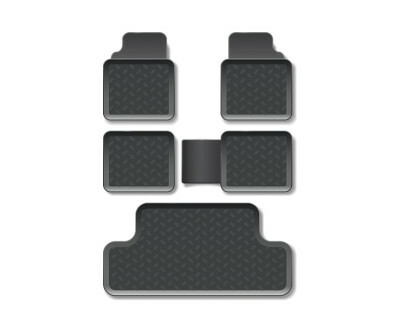 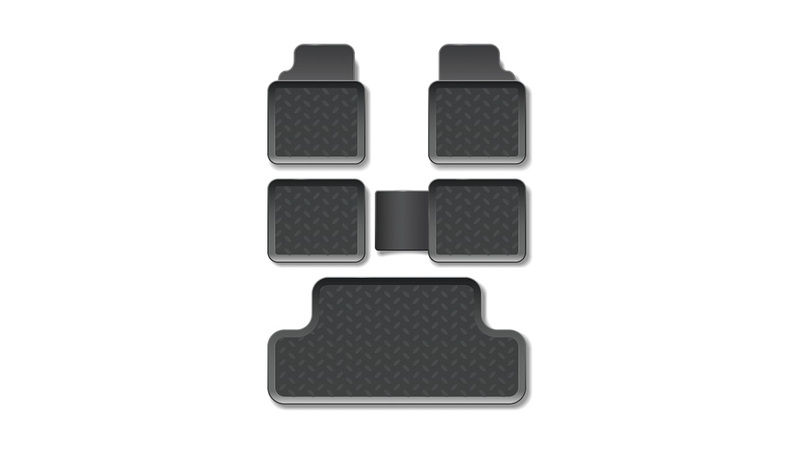 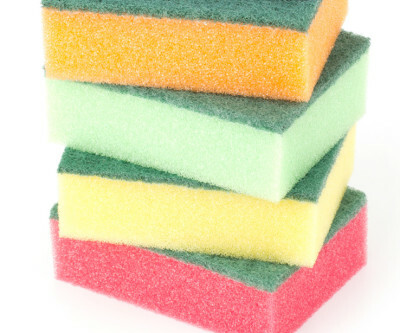 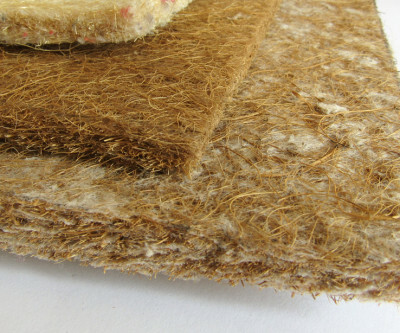 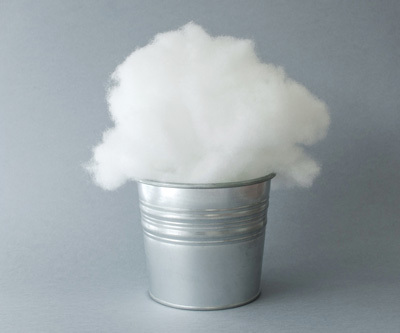 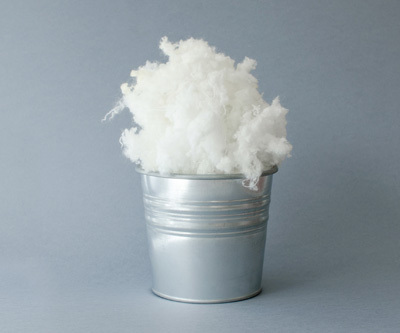 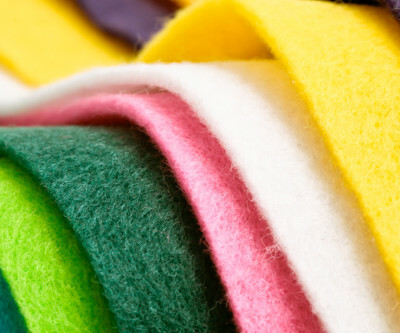 Felts and Waddings are products that are always present in our day to day lives. 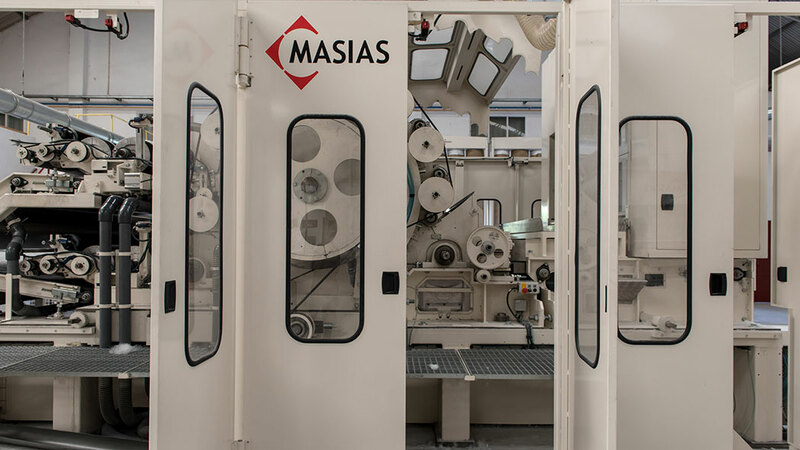 What we provide at Masias Maquinaria is the design, manufacturing, assembly and start-up of production lines of felt and wadding of all types and garments made from different kinds of materials. 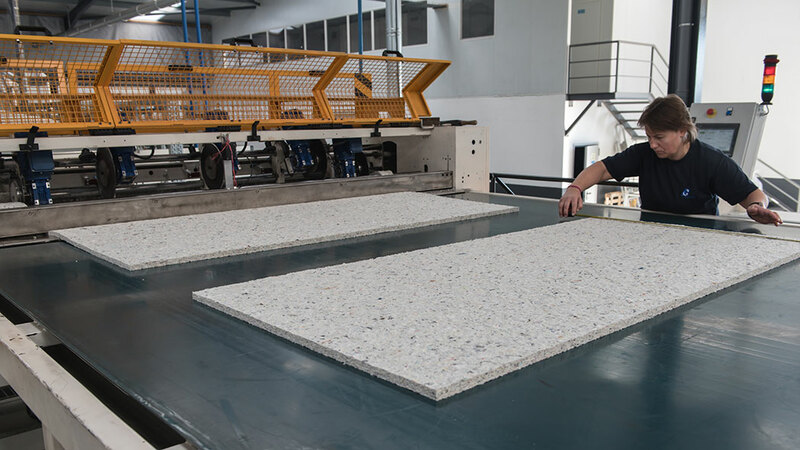 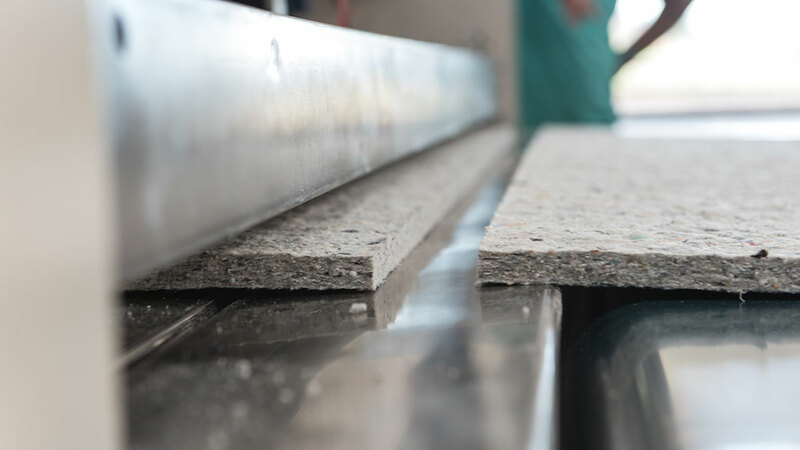 We are specialized in finding the perfect mix through a studied production process in order to obtain high quality materials by means of an economic and operationally efficient process. 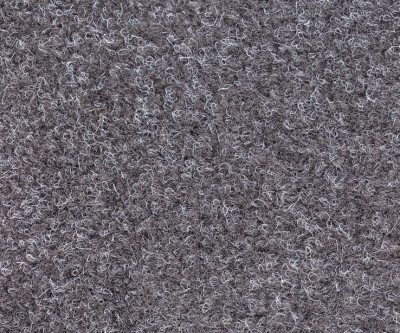 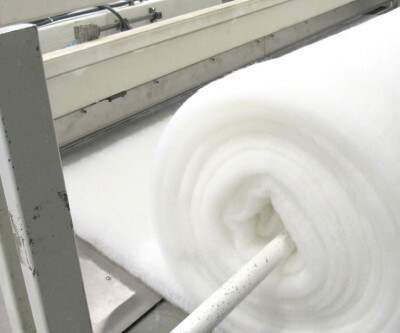 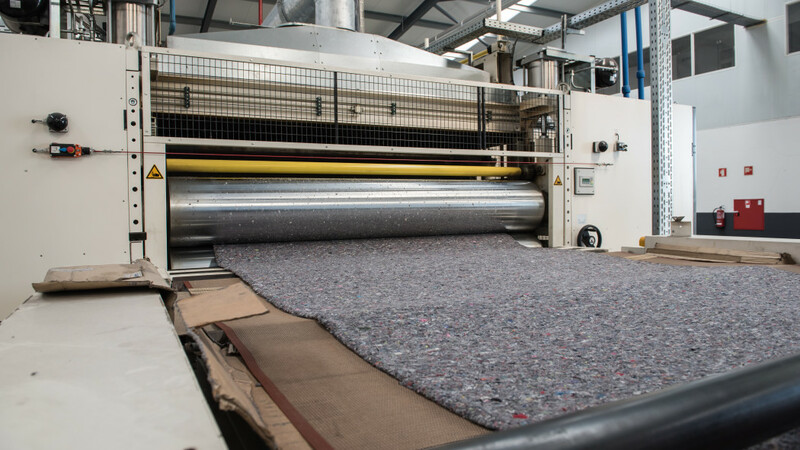 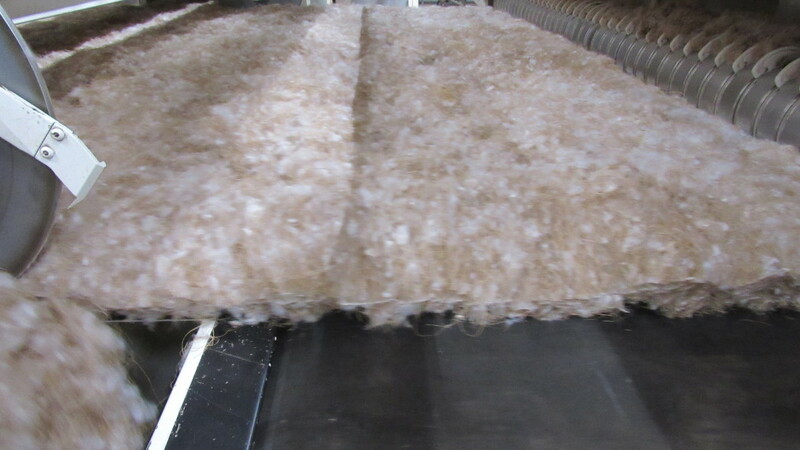 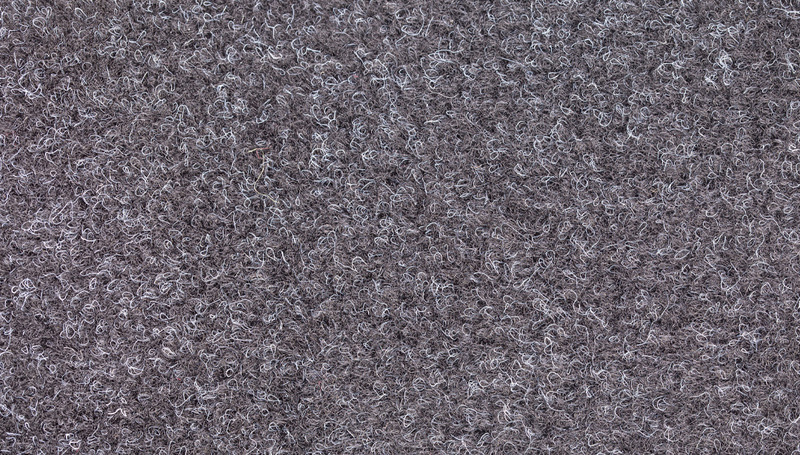 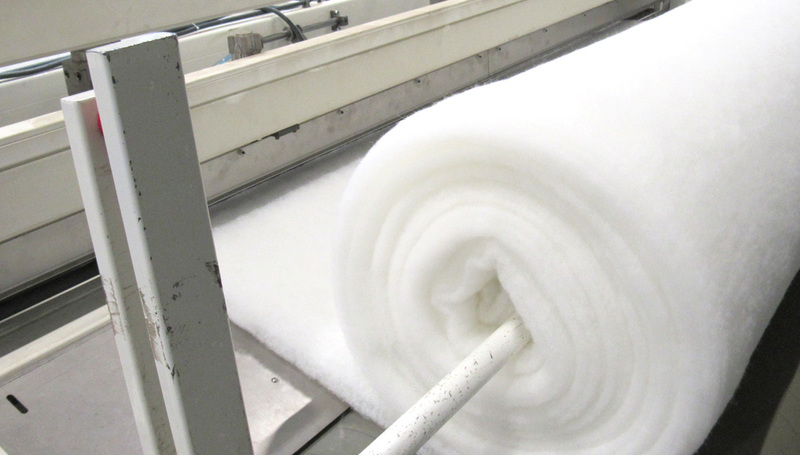 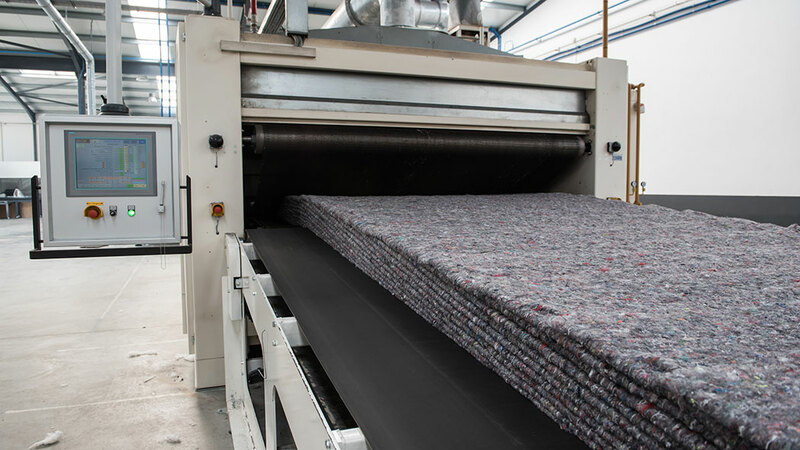 We specialise in the installation of complete felt and wadding production lines adapted to the mattress market. 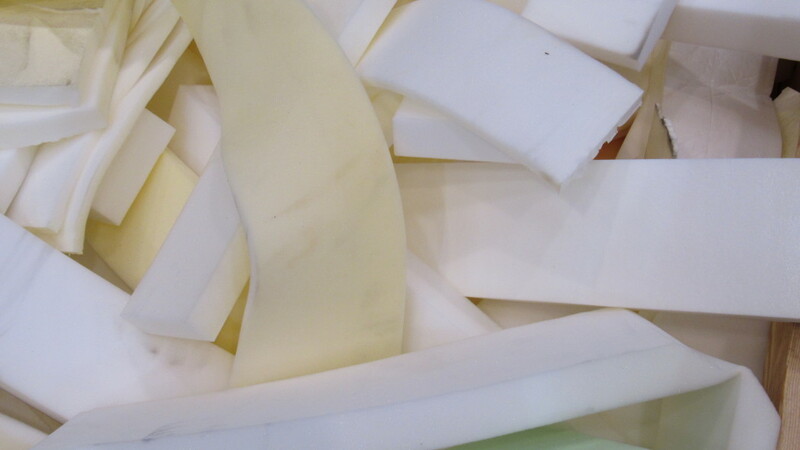 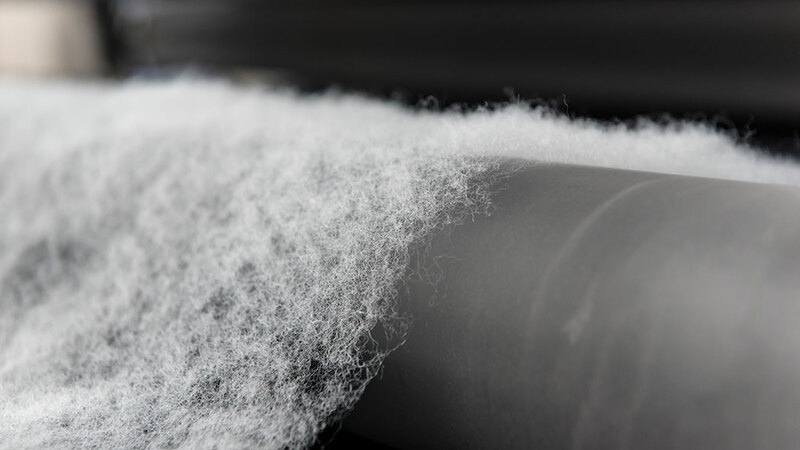 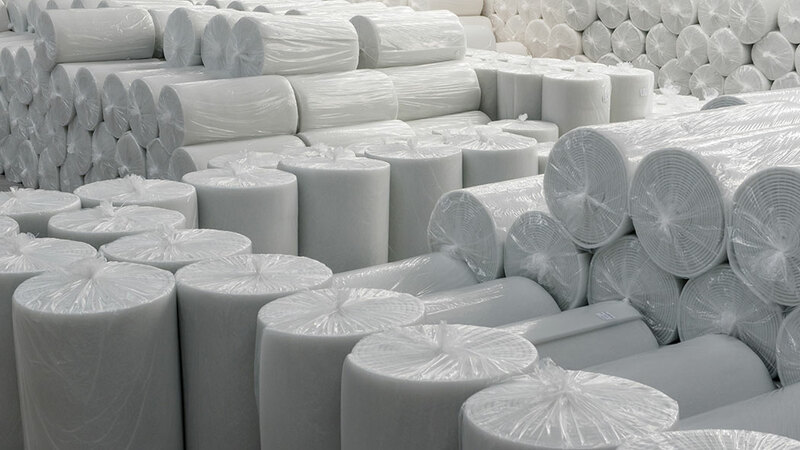 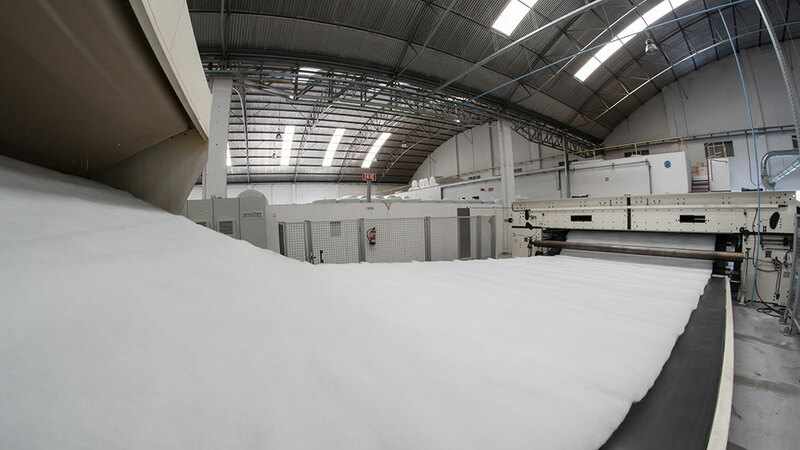 Our lines have the capacity to blend different raw materials (natural, synthetic, or recycled) and to obtain a broad range of felts and wadding with varying densities according to their future use within the mattress. 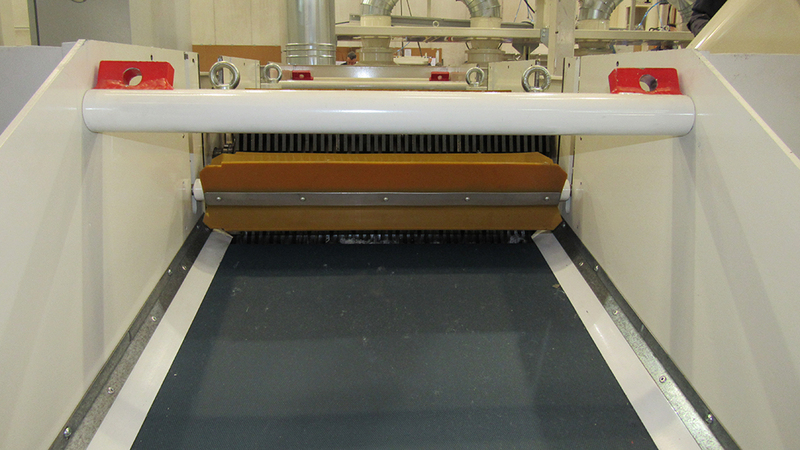 The capacity of these lines can reach up to 2,000 kg/h in felt production, and up to 1,500 kg/h in wadding production. 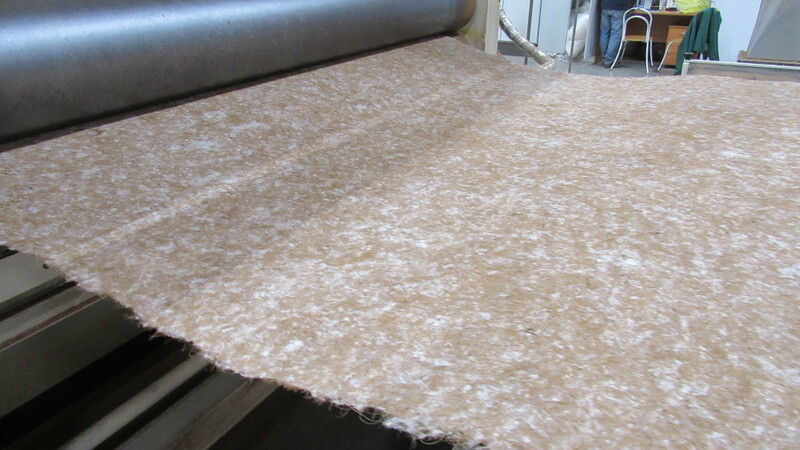 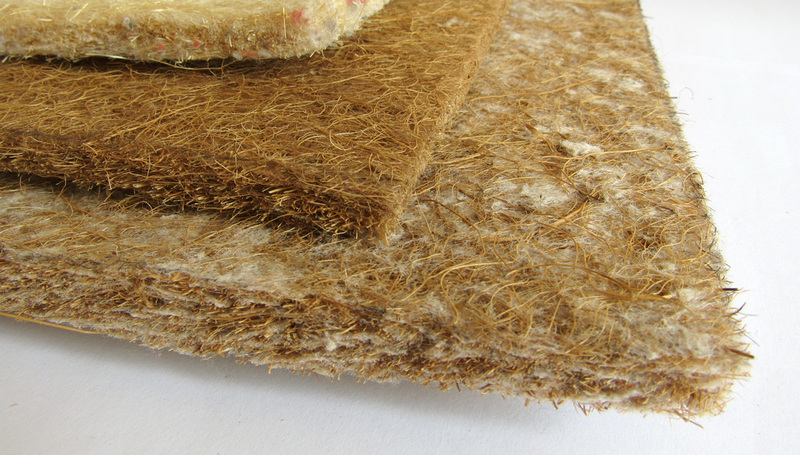 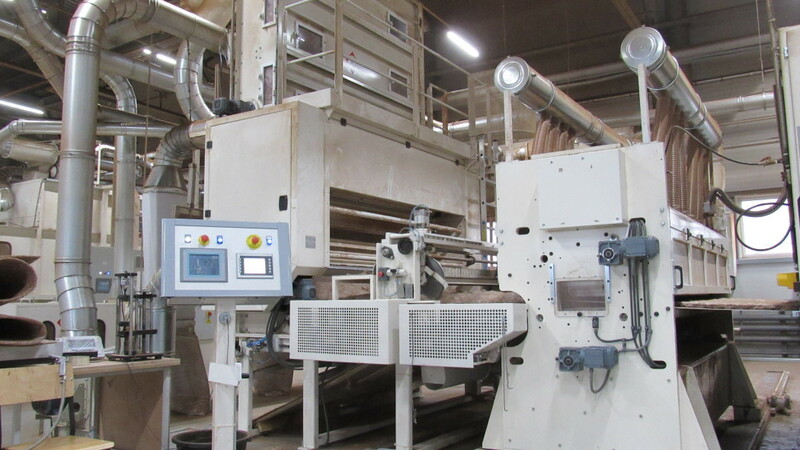 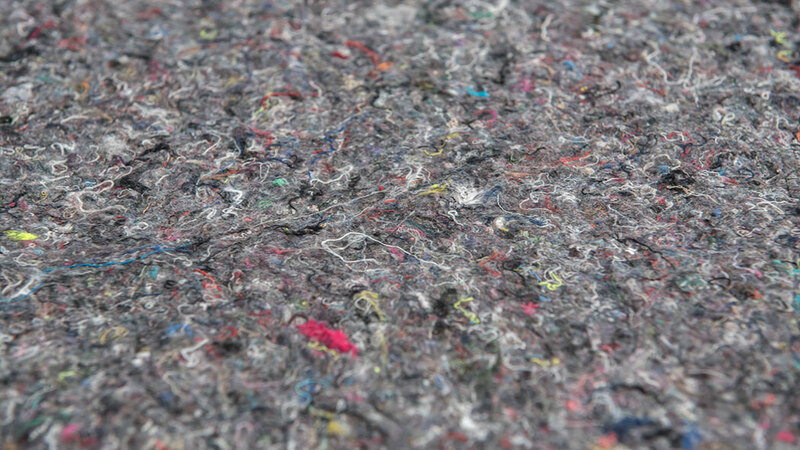 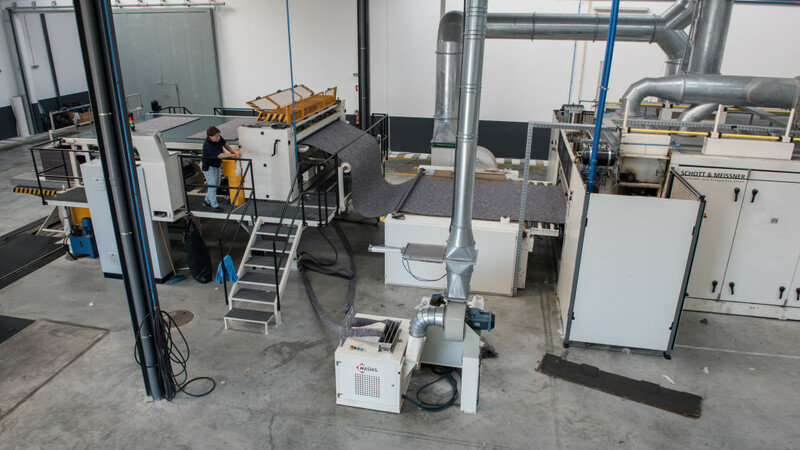 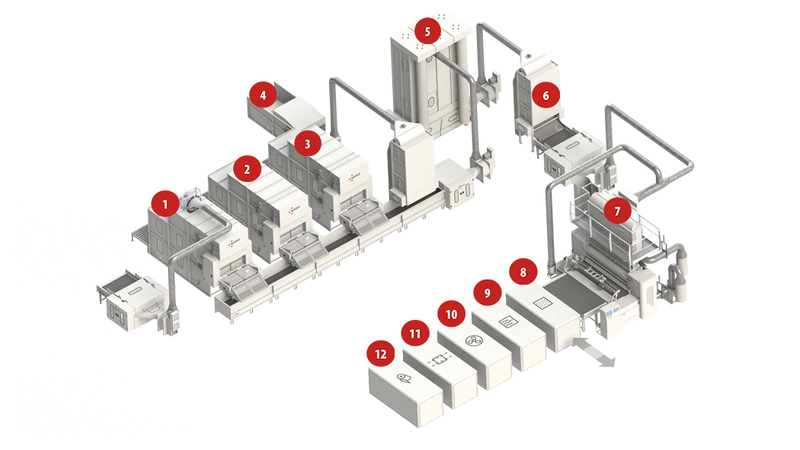 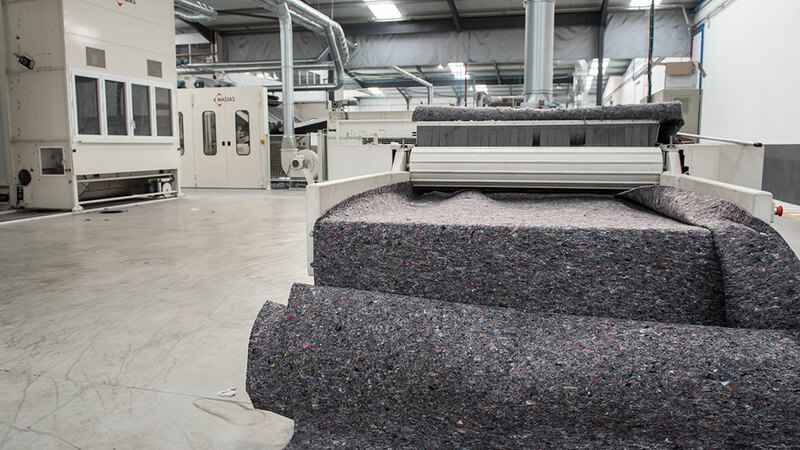 We are specialised in the installation of complete felt and wadding production lines. 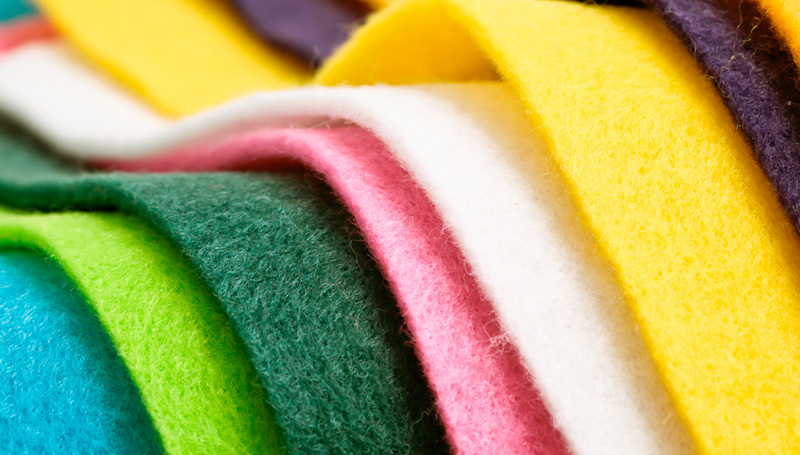 Our lines have the capacity to blend different raw materials (natural, synthetic, or recycled) and to obtain a broad range of felts and wadding with varying densities depending on their future use. 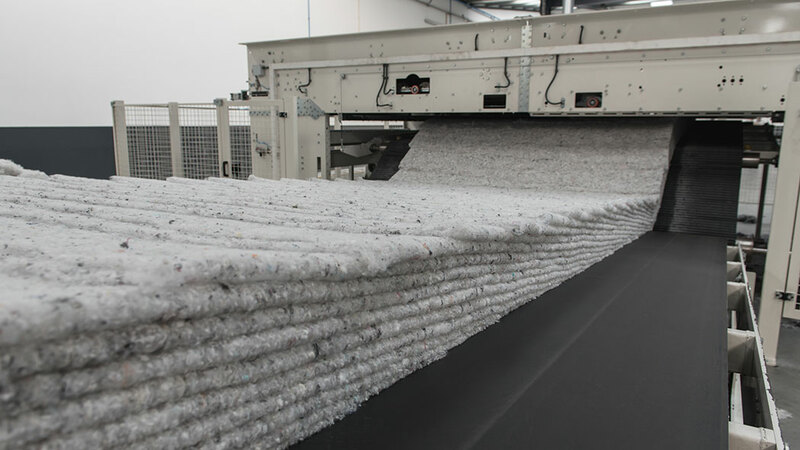 The capacity of these lines can reach up to 2,000kg/h in felt production, and up to 1,500kg/h in wadding production. 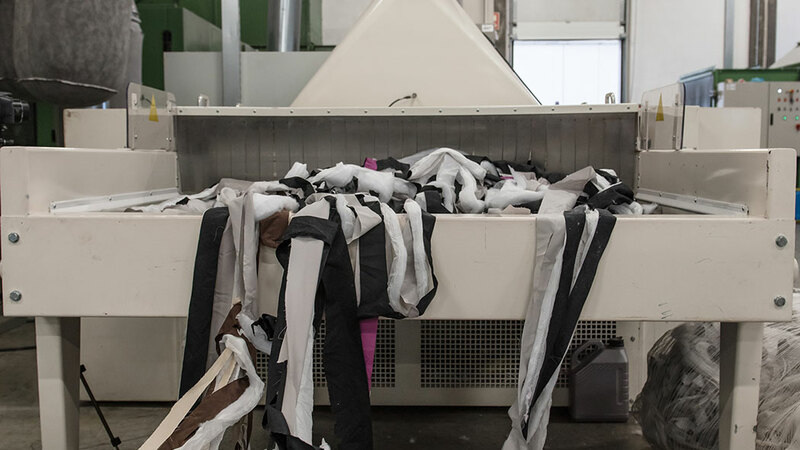 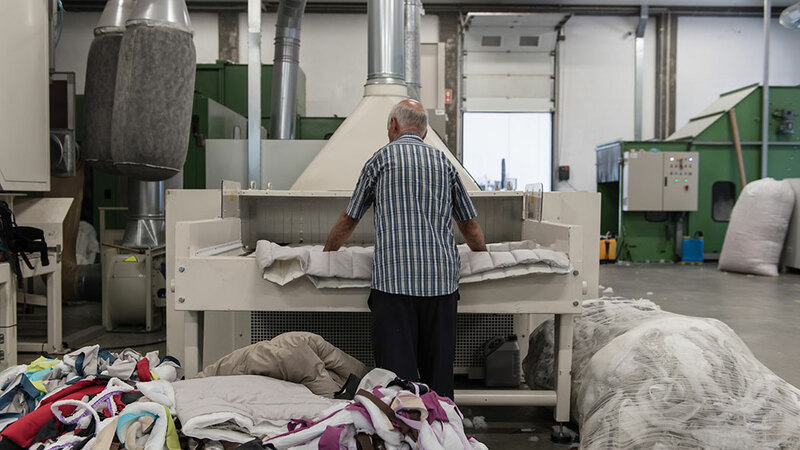 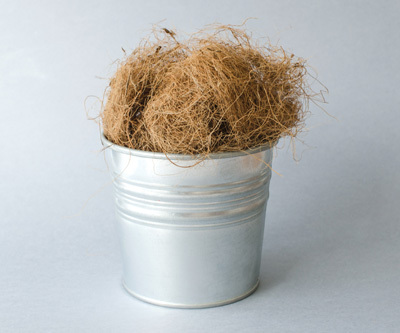 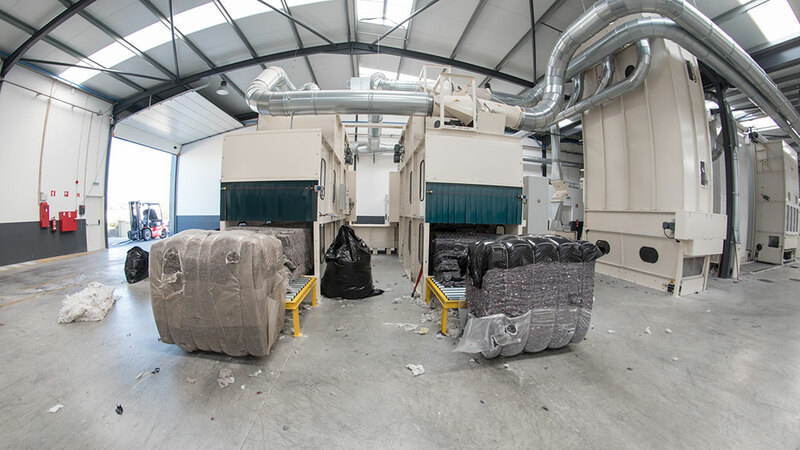 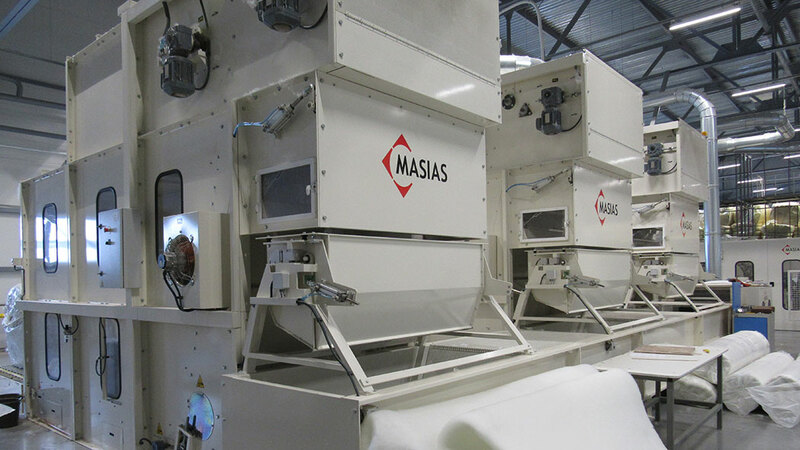 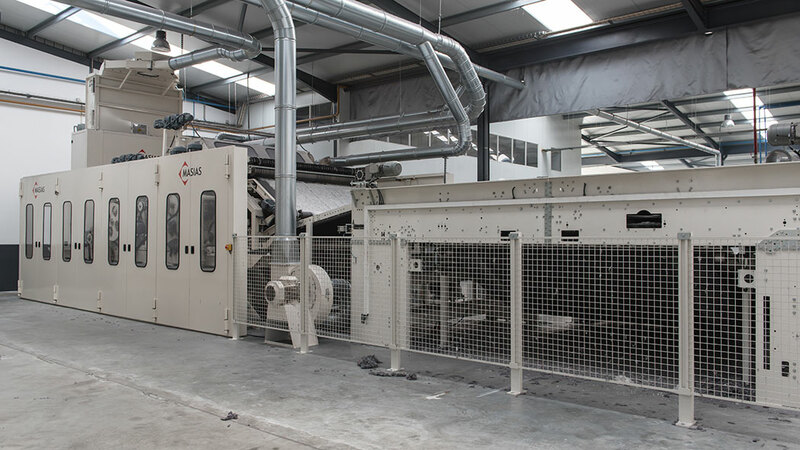 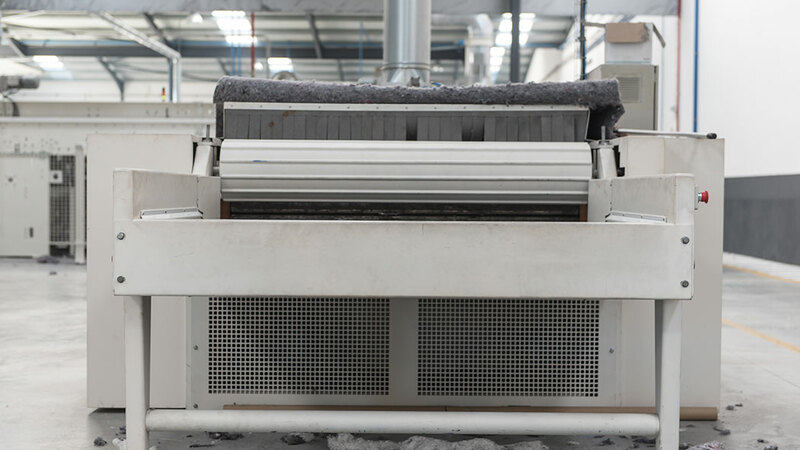 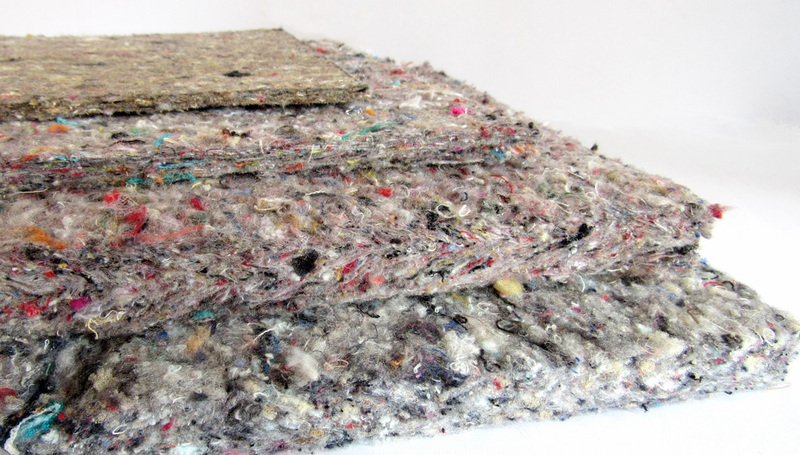 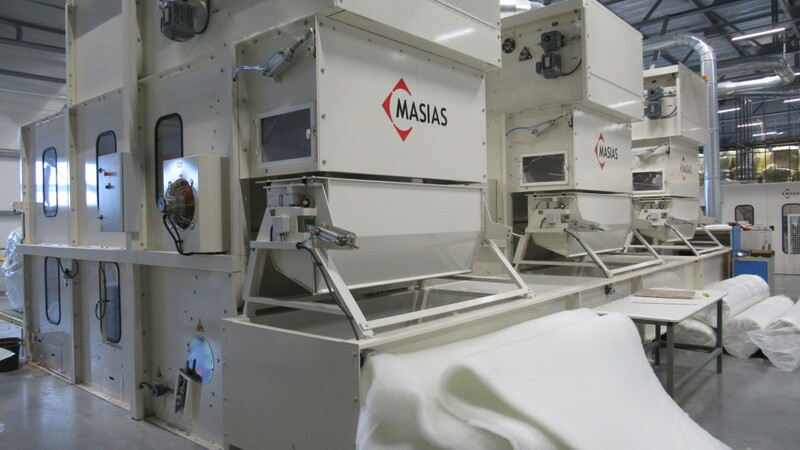 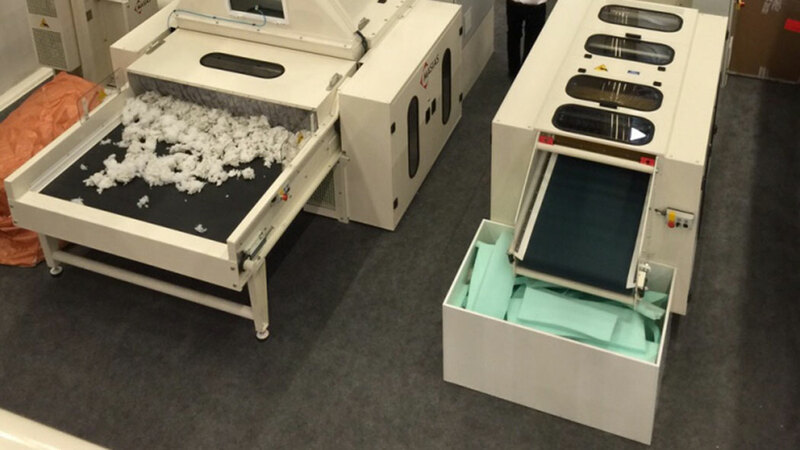 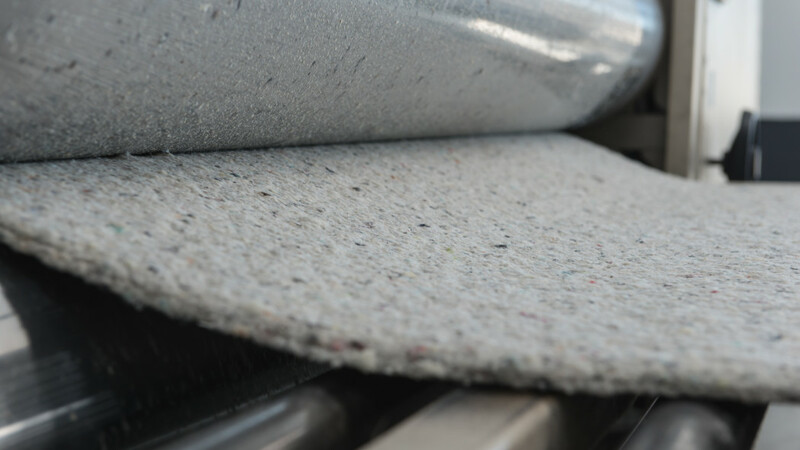 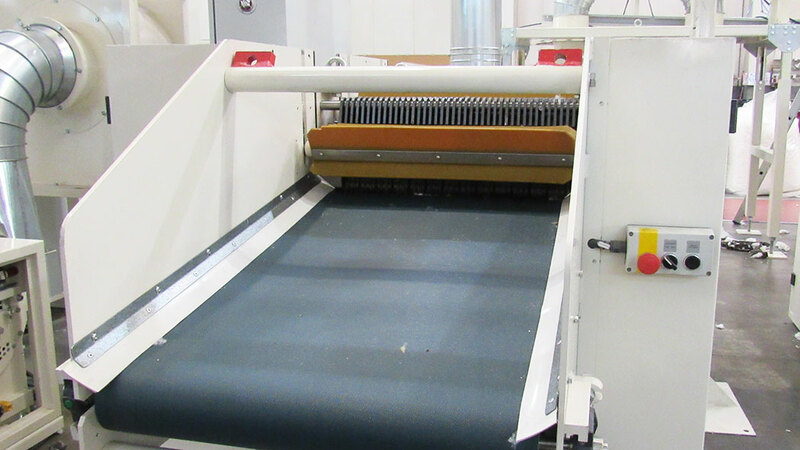 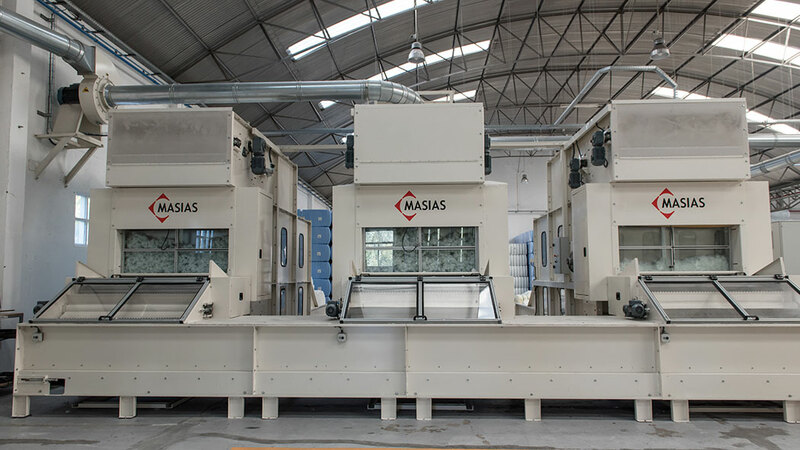 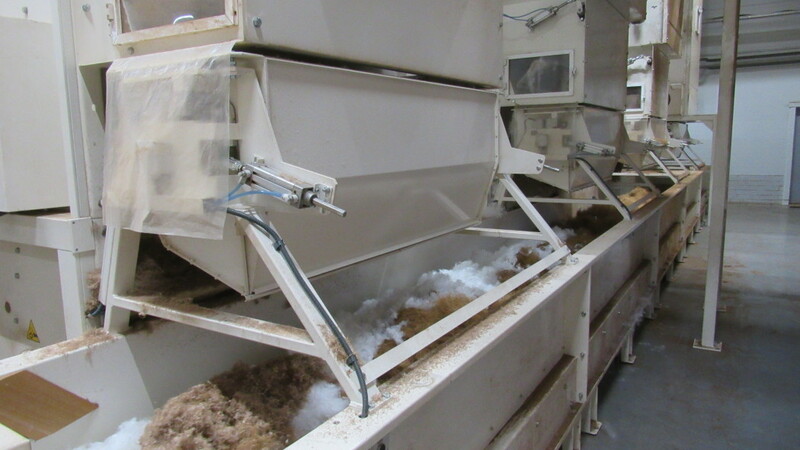 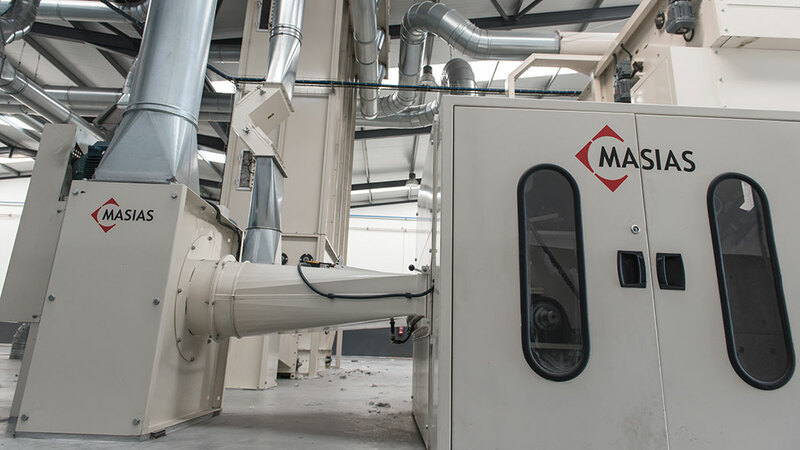 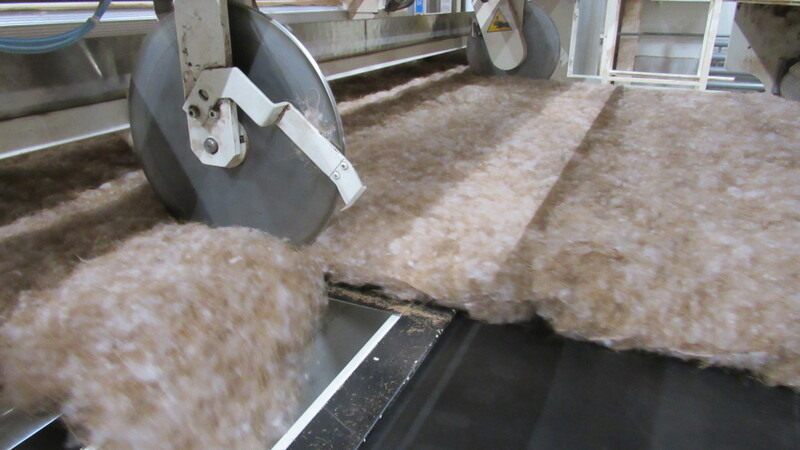 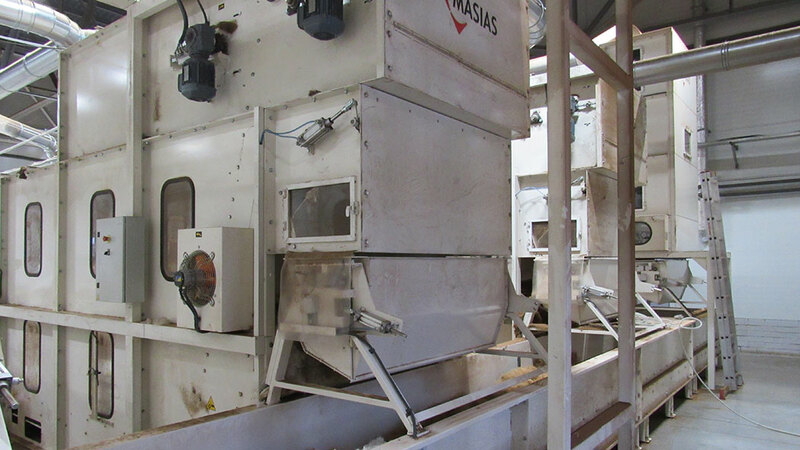 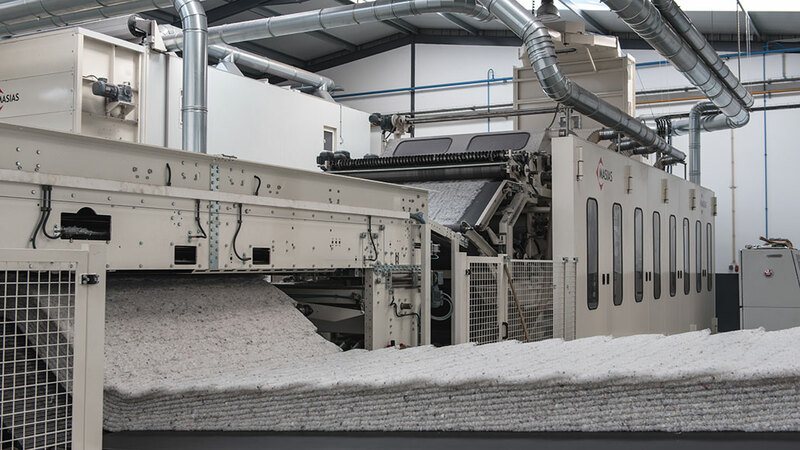 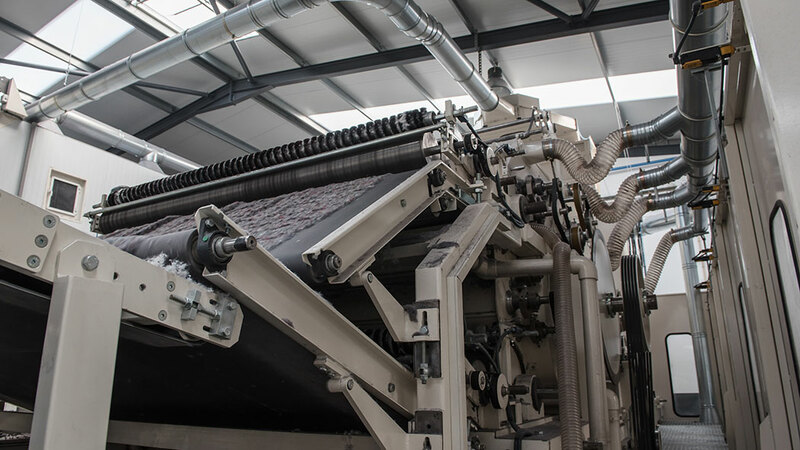 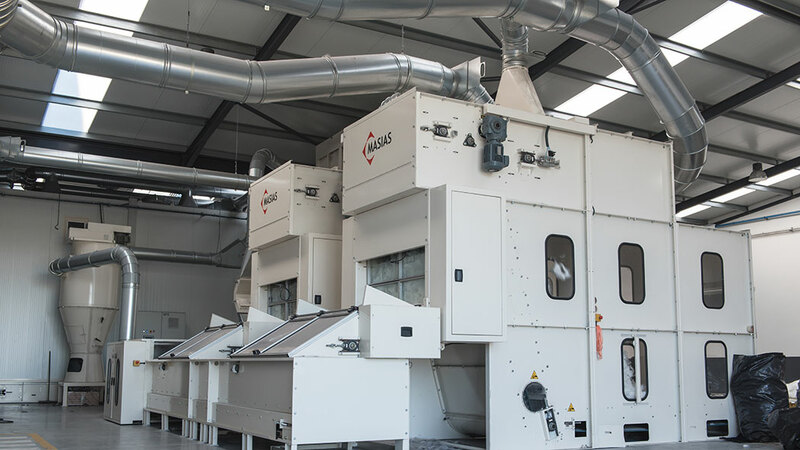 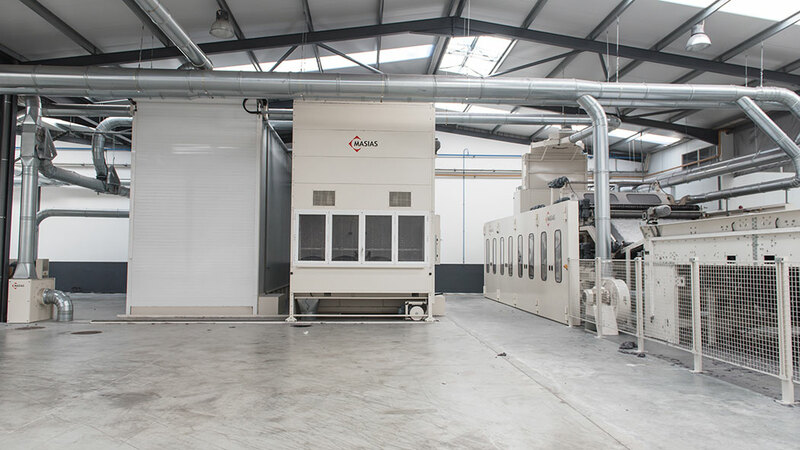 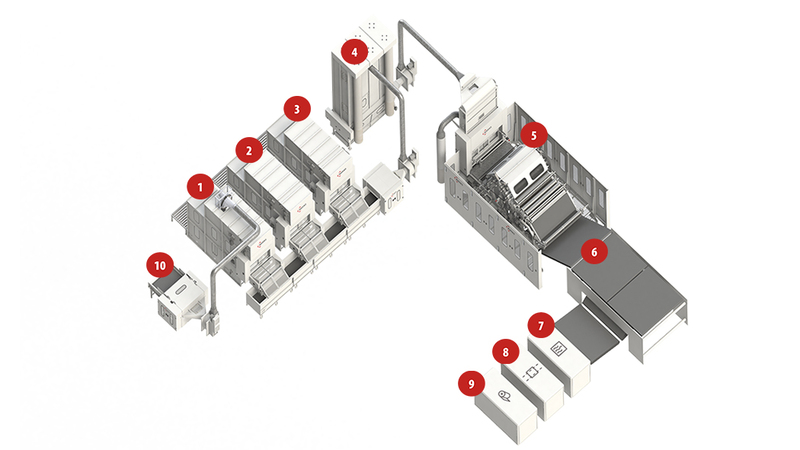 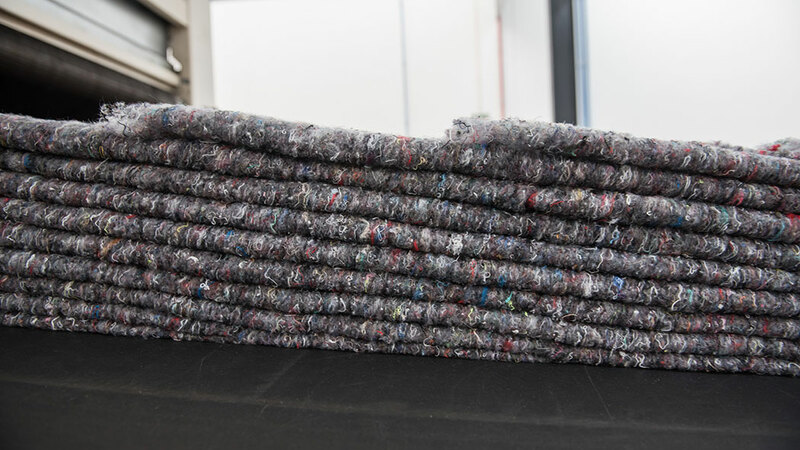 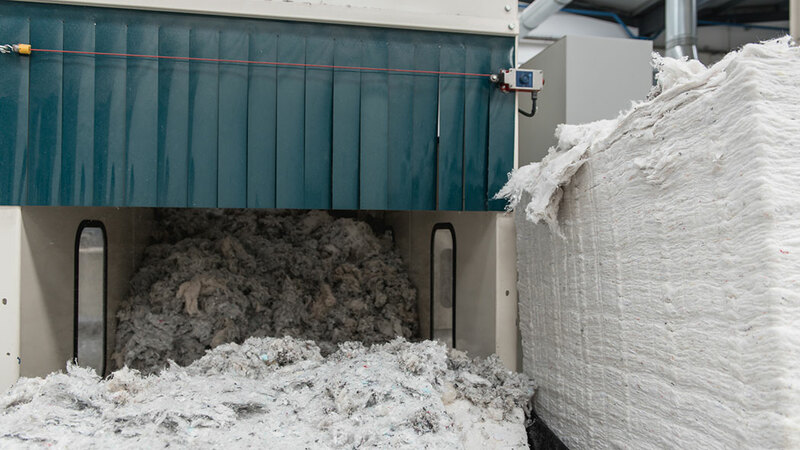 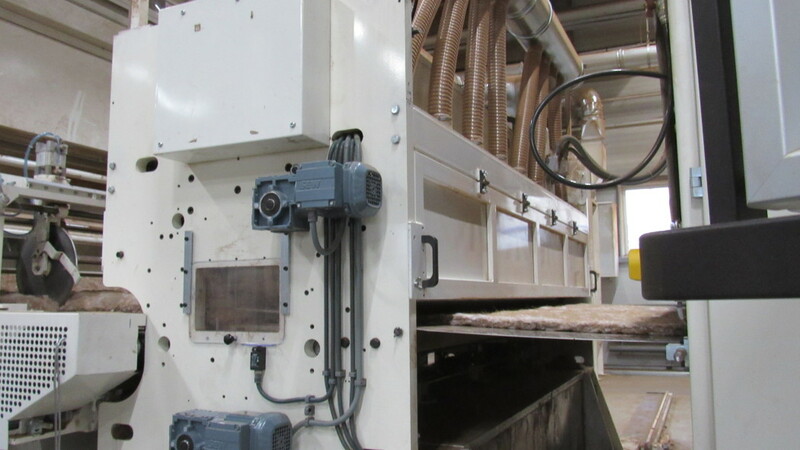 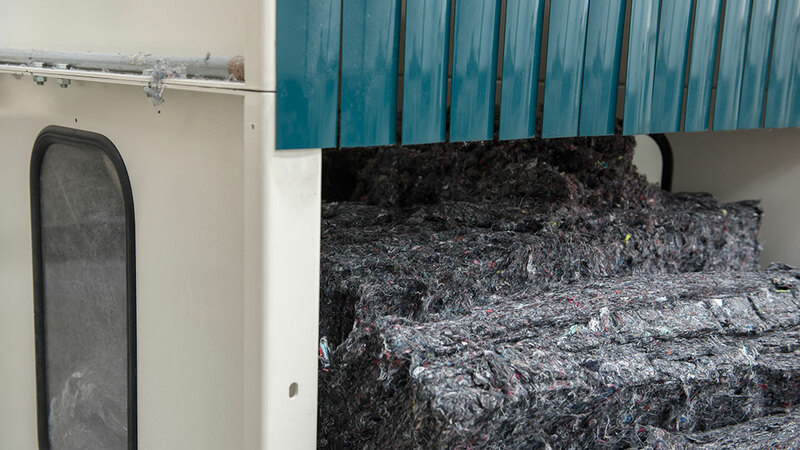 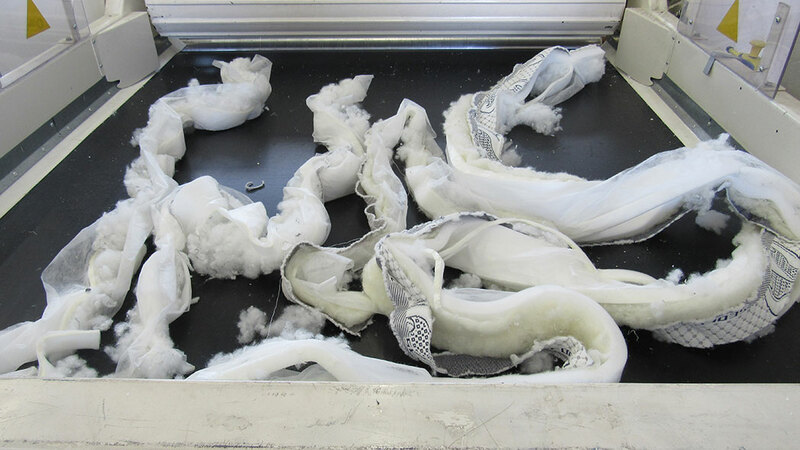 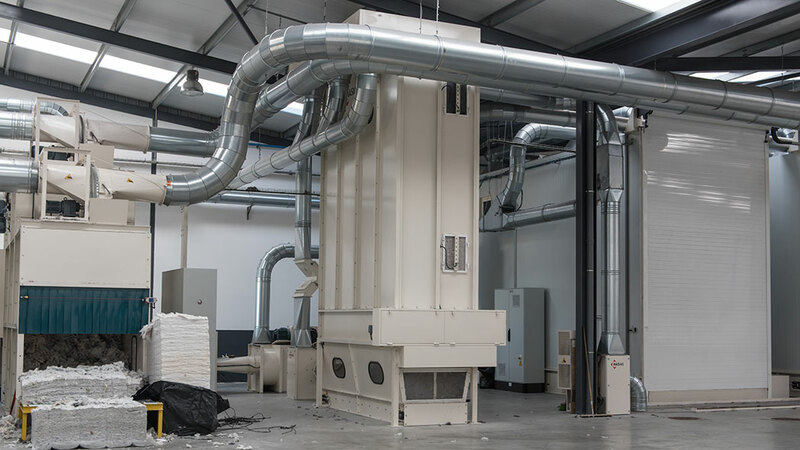 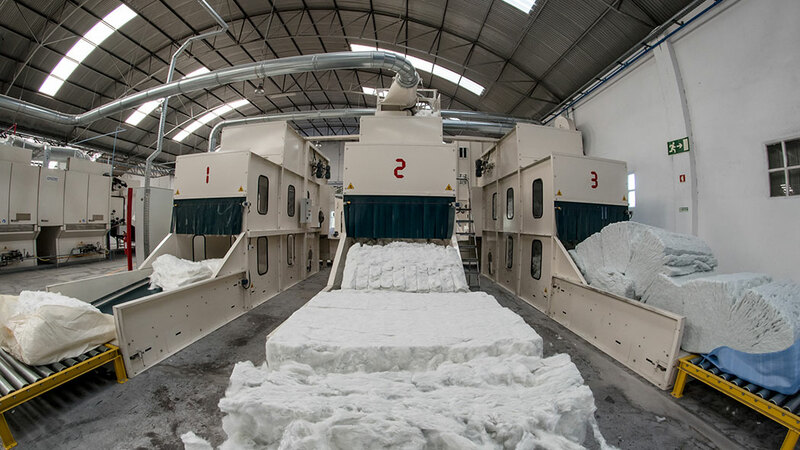 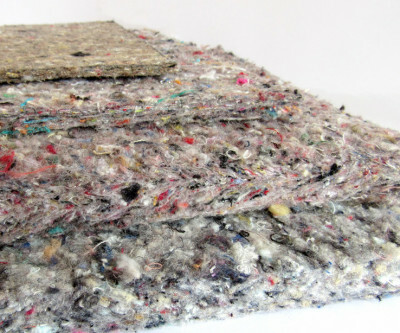 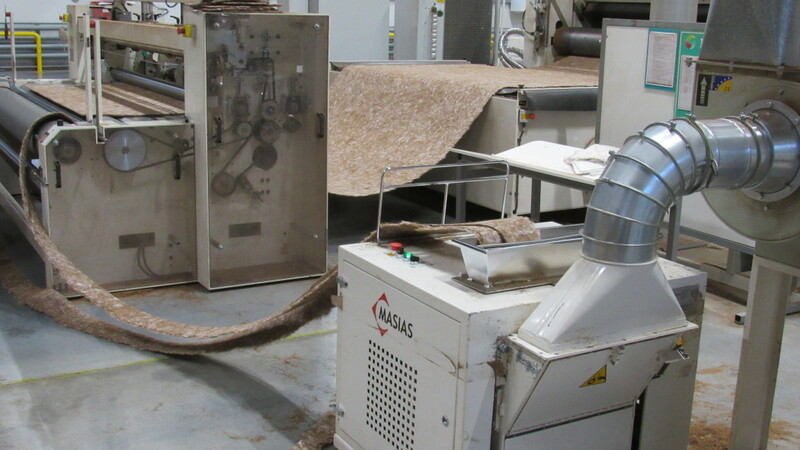 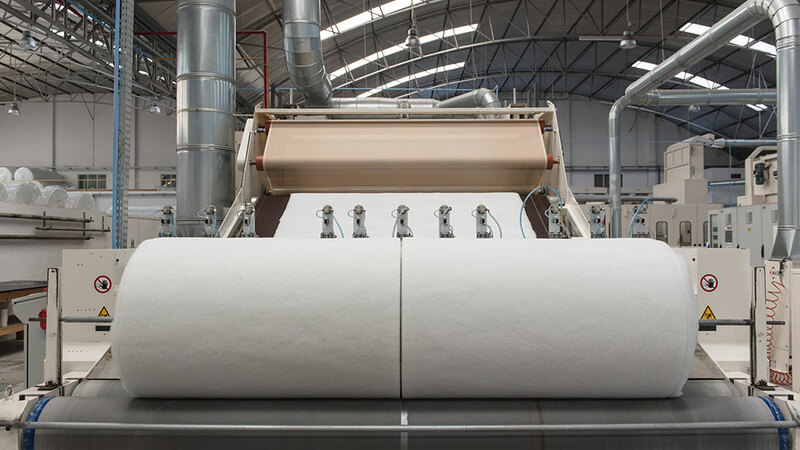 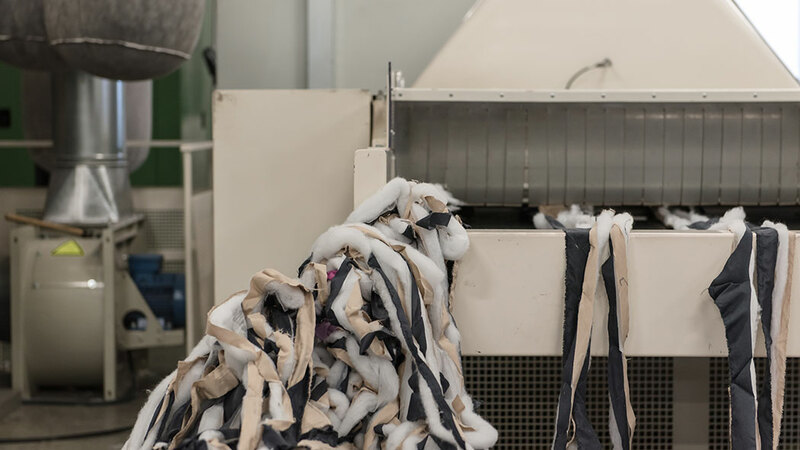 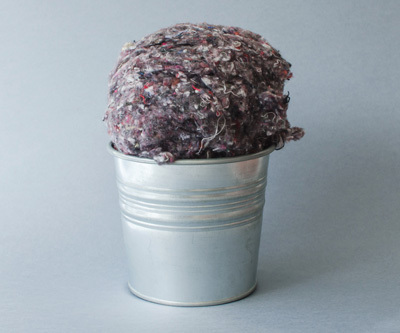 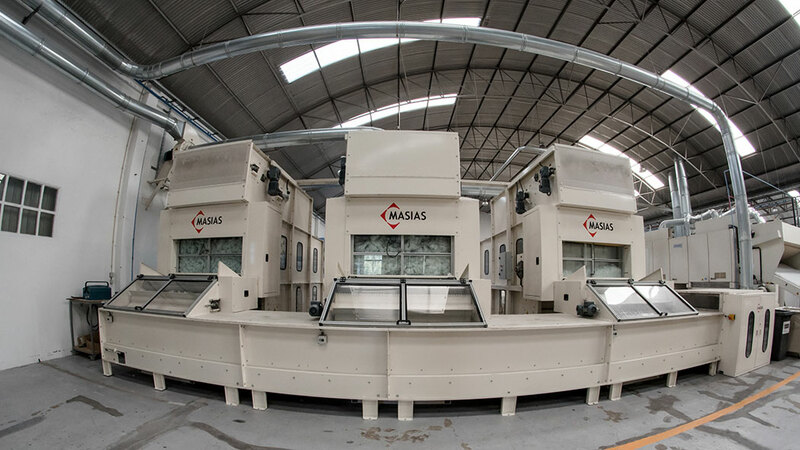 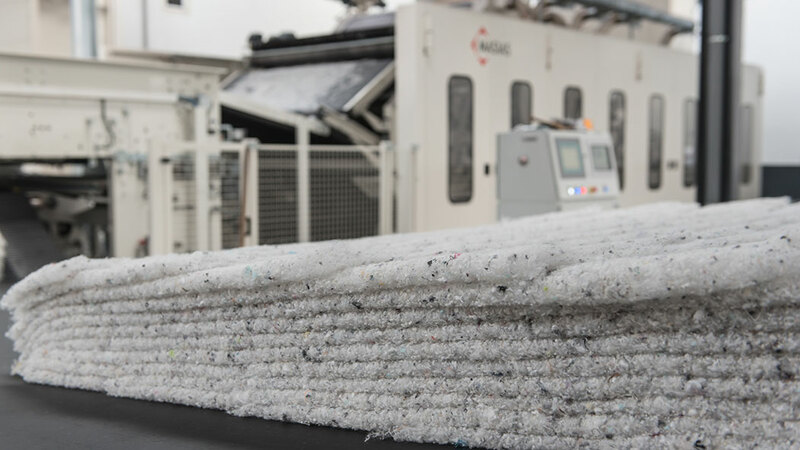 To avoid production waste, Masias Maquinaria has developed shredding equipment that deals with production remainders or production defects with the goal of reintroducing them into the non-woven fabric production line. 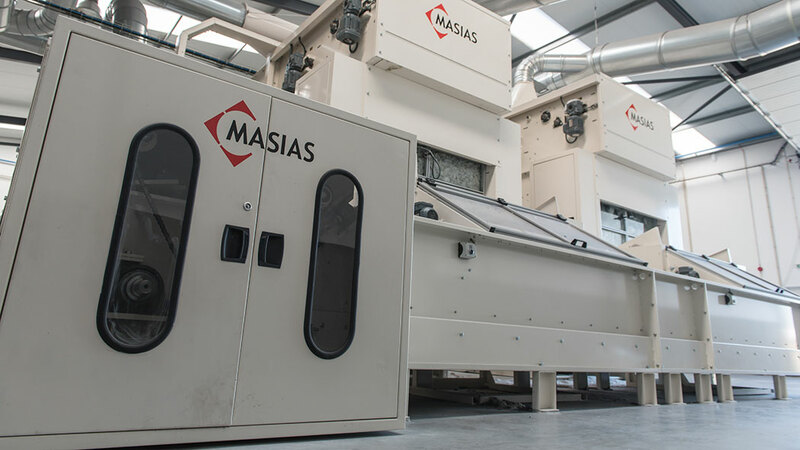 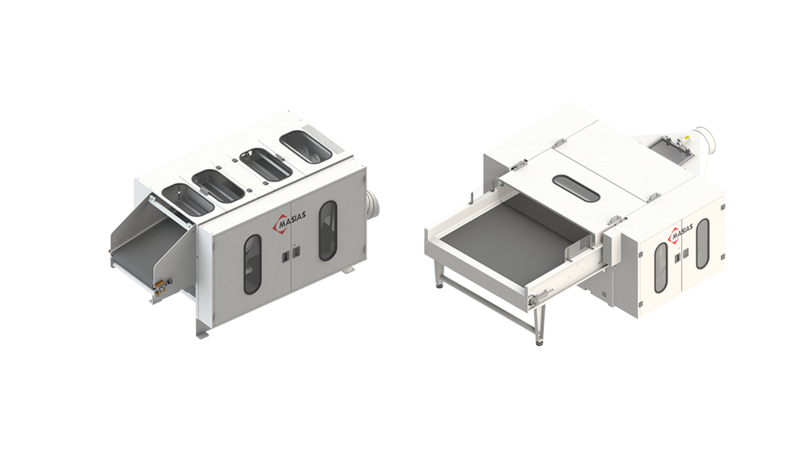 Obtaining a good finished product always begins with having a good blending system to ensure that the final product has a uniform appearance regardless of the materials or colours used as raw materials. 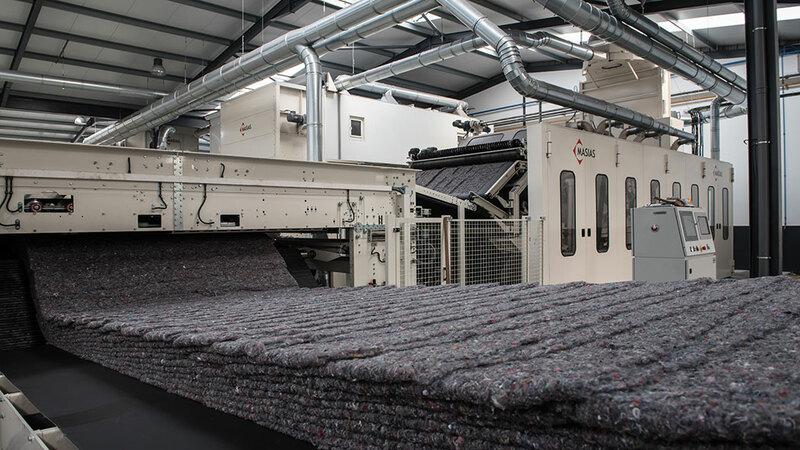 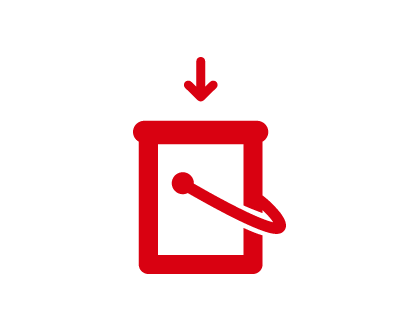 Our equipment ensures delivery of a positive final result, no matter what type or colour of fibre it processes.